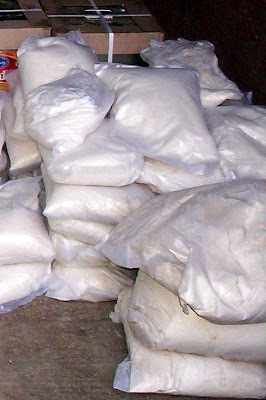 Bags of wheat flour which is used to make Chappatis (thin rotis), a staple bread in Mumbai. The Mumbai sky as seen on 13oct09 at 1753hrs. The dress that the ladies are wearing in the picture is the 'salwar kameez' popularly known as the Punjabi dress. The top is called 'Kameez' and the bottom is called the 'salwar'. This is commonly worn by the women here for its comfort level while commuting and working. An over view of the Sanjay Gandhi National Park in Borivali - a northern suburb of Mumbai. 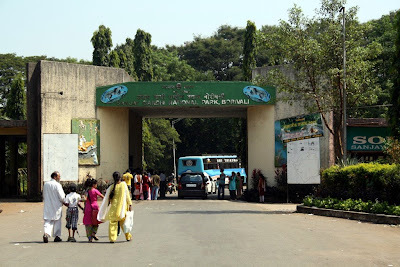 The Borivali National Park, officially known as the Sanjay Gandhi National Park, is a unique National Park in that it lies within the borders of a city. The park lies on the northern fringes of suburban Mumbai, India. It encompasses an area of 104 square kilometres and is surrounded on three sides by India's most populous city. It is one of Asia's most visited National Parks with 2 million annual visitors. The region is hilly with a maximum height of about 480 m. The Park encompasses two lakes, Vihar Lake and Tulsi Lake, which meet part of the city's water requirements. The park is said to be the lungs of the city as it purifies most of the pollution over the city. The park is a bustling forest. An estimated 800 types of flowering plants; 284 kinds of birds; 5,000 species of insects; 36 types of mammals; 62 reptiles and 150 species of butterfly call the forest their home. 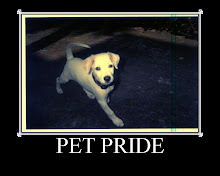 The park has also many endangered species of plant and animal. The world's largest moth, the Atlas moth, was discovered here. The park is also home to a small population of leopards. A small section of the park is open to the public. A mini zoo was also created so that visitors can view the animals from afar. A safari also guides and educates visitors on the natural habitats of these animals. A toy train travels around the tourist zone showcasing parts of the rich biodiversity. Nature trails and treks are also popular with some leading you to the Highest Point trail, the highest point in the city, to take a panoramic view of the city. Rock climbing enthusiasts have been coming to national park for quite some time now. An old building in Lalbag, Mumbai. An overview of the Mumbai Moth. The Mumbai sky as seen on 13Oct09 at 1750hrs. Simple yet effective. On 15Aug09, the Mumbai Municipal authorities along with an NGO, initiated a simple yet effective idea to brighten up the 3km long wall between Matunga and Dadar, by distributing paints and brushes and inviting all the locals to paint the wall. 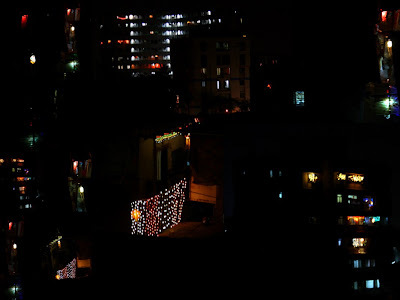 A collage of Night lights in Mumbai during Diwali. A quaint little house in Mahim, Mumbai. Few such houses still remain as most of them have given way to ugly urban apartment complexes. The Dr.Bhau Daji Lad Museum in Byculla , Mumbai. This Museum has preserved the history of Mumbai. It is Diwali or Deepavali - the festival of lights, the victory of light over darkness, enlightenment from darkness. It is celebrated in a big way in Mumbai. Almost all houses will have decorations featuring light at their entrances. There are fireworks displays by individuals and by corporates. Sweets and gifts are exchanged to celebrate the beginning of a new financial year by some trading communities. It is festival time in Mumbai! The Mumbai sky as seen on 13Oct09 at 1743hrs. An urban dawn - a thing of Beauty. Midnight at Mumbai International airport, outside the Departure area. Vintage Mumbai - this is Lalbaug in Central Mumbai. Still plenty of the old buildings exist here. The LIC (Life Insurance Corporation) building outside Churchgate station In South Mumbai. The Mumbai moth :) Frankly I don't know what type of moth it is but see it in Mumbai so! Grateful for any enlightenment on the subject. The Mumbai marathon - an international event is due to be held in a couple of months from now. This year there are plans to make the Bandra Worli sealink to be part of the route. The Mumbai sky as seen on 13Sep09 at 1829hrs. Golden turbans for sale in the compound of Mumbadevi temple. Lost in thought as he ponders on the condition of his crowded city, Mumbai. A crowded bylane in Andheri, Mumbai. Don't miss the kid peeping from the 'rear window' of the autorickshaw! The 'Central Bank' building in South Mumbai.